On D1 chart the pair is trading in the lower part of Bollinger Bands. The indicator is directed downwards and the price range reduced insignificantly which indicates further downtrend. MACD histogram is in the negative zone keeping a strong sell signal. Stochastic entered the overbought area; a strong sell signal can be formed in the next few hours. 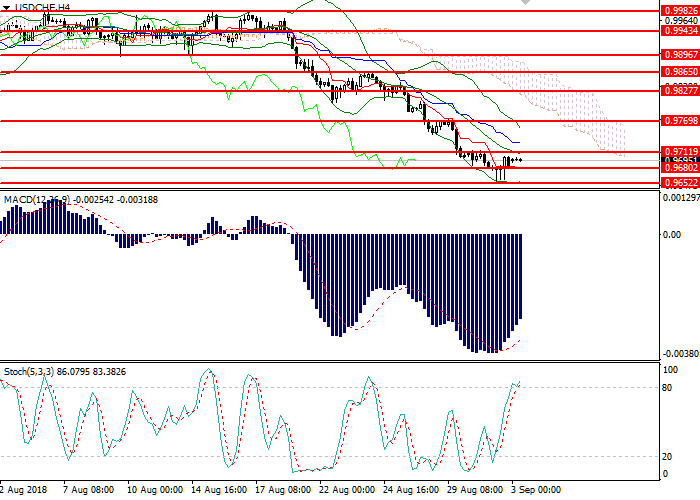 On the H4 chart the instrument is trading near the lower line of Bollinger Bands. The key support level is 0.9650. Bollinger Bands reverse downwards, and the price range expanded significantly, indicating further decline of the pair. MACD histogram is in the negative zone keeping a strong sell signal. 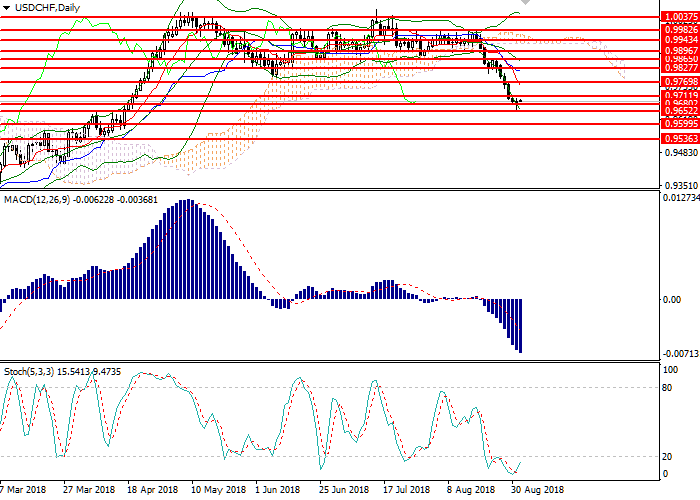 Stochastic is about to leave the oversold area, a strong buy signal can be formed in 1-2 days. Resistance levels: 0.9711, 0.9769, 0.9827, 0.9865, 0.9896, 0.9943, 0.9982, 1.0037. Support levels: 0.9880, 0.9856, 0.9680, 0.9652, 0.9600, 0.9536. Short positions may be opened below 0.9650 with target at 0.9600 and stop loss at 0.9665. Long positions may be opened above 0.9713 with target at 0.9770 and stop loss at 0.9690.